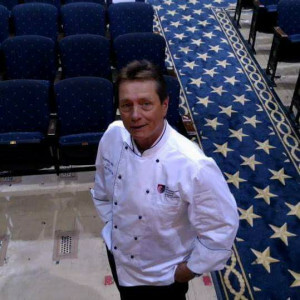 Dear Members: It is with a heavy heart that we report the passing of a great friend and culinarian; Chef Stephen Abel, CEC. Steve was a long-standing member of our organization and was always one to lend a hand when needed at chapter events. Steve passed on August 24th after sustaining injuries from a motorcycle accident a few weeks earlier. There will be a memorial service this Wednesday, August 30th at 10:00am at All Saints Catholic Church in Manassas, VA. More details can be found in the link below to his obituary. In lieu of flowers, the chapter will make a donation to the Haymarket Regional Food Pantry in Steve’s honor. Please keep Steve’s family in your thoughts and prayers during this difficult time. We lost not only a wonderful culinarian and educator, but a great friend, husband and grandfather whose zest for enjoying life to the fullest will live on in all of us.